Do You Have to Declare Hobby Income in Canada? What you consider to be a hobby may be a business in the eyes of the Canada Revenue Agency (CRA). If you are making a profit from it, then it is considered to be business income. You may not view what you're doing as actually running a business, but the CRA defines a business as "any activity that you do for profit." This includes a profession, a calling, a trade, an adventure or concern in the way of trade, and an undertaking of any kind. It doesn't matter if your hobby income is small because there is no threshold. When you file your Canadian income tax you must declare all of your income from all sources, including your hobby income. Bob has excellent woodworking skills and as a hobby makes beautiful carved salad bowls which he sells in a kiosk at Christmas in a local mall. He has a woodworking shop with a number of expensive tools and also must pay for materials as the money he makes from selling the bowls does not cover the costs to make them. He does it for enjoyment and is not concerned with making a profit. In this case, Bob probably does not have to declare any business income The general rule is that you must be making a profit or intend to make a profit in the future. In Bob's case, his expenses exceed whatever revenue he makes from selling his hobby items. 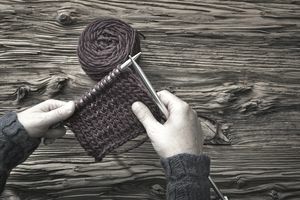 Note that if he decided to declare his hobby income, it might actually be a tax advantage because it would enable him to write off his business expenses and record a business loss. In another example, Jane goes to garage sales on a regular basis and picks up items which she sells on eBay for a considerable markup. Because of that markup, she needs to declare her hobby income on her income tax. Jane's business passes the profit test and she needs to make sure all her income is declared. The CRA makes no distinction between selling online and selling offline. You must report the money you make from your hobby as business income by completing Form T2125 (Statement of Business or Professional Activities), which is included with the T1 income tax return package. The additional paperwork has some major advantages, the main one being the ability to write off business expenses against income. This includes business-use-of-home expenses, meals and entertainment expenses, motor vehicle expenses, etc. You can use the Capital Cost Allowance to annually write off a portion of assets, such as property and equipment your business has acquired. To do this, of course, you must keep track of all your sales and expenses, including all receipts. If you have regular income from a job or business, the net loss from your hobby gets deducted against your total income, so your overall tax bill will be lower. Note that there are limits to this: You cannot continue to write off thousands of dollars in losses from your hobby activities against your regular income year after year without attracting the attention of the CRA. The CRA uses the profit test to determine whether your activities are conducted with a "reasonable expectation of profit."